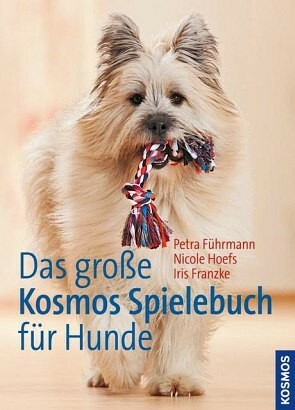 Product information "Das große Kosmos Spielebuch für Hunde"
This book will really get your dog going! Coordination and movement games, hunting games, fetching games, strategy games, and intelligence tests – ideal for every man and his dog. The successful authors put forward their best games and ideas to amuse and entertain your dog. Also included is a comprehensive overview of all the most common dog sports to inspire you and your dog! Iris Franzke ist ausgebildete Hundetrainerin und leitet zusammen mit Petra Führmann die Aschaffenburger Hundeschule.